Yep, today I’m taking a page out of Kidlutions’ playbook, since Wendy Young profiled Annie Fox of the Middle School Confidential series of anti-bullying media…a year ago to the day. Why NOT do winter reruns when the content is snap-fresh and relevant? It’s not like peer pressure and bullying has gone away. In fact “real friends vs the other kind” is if anything, even MORE apropos for parents and kids taking some winter break down time to hang out, slow down , and actually CONNECT about what’s going on in everyone’s lives amidst digital drama and the fast-paced finals fandangos akin to the film ‘Race to Nowhere.’ …So I did just that with my teen yesterday. 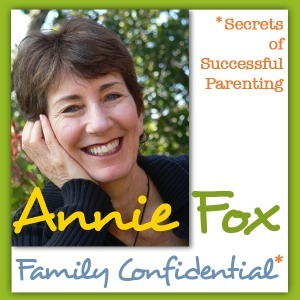 I actually experienced an Annie Fox media moment myself, learning how to hold a boundary, not be ‘self-bullied’ into a tailspin of shoulds/coulds and unrealistic expectations, and do a ‘makeover’ on the ‘must’ list. In short, we took ‘cramming for finals’ angst amidst eldercare trauma and brought my teen’s Spanish vocab practice into the pedicure chair for an early respite…we ultimately ditched Espanol altogether in favor of a deeper talk about digital drama, school unrest, peer pressure cookers and social media reputation management impacting personalities, moods and entire personas. Important stuff, as this research via Newsweek reveals: “How Teen Experiences Affect Your Brain For Life”–Highly recommend it for flipping the media messages and getting in touch with your inner Rudolph. Besides, couldn’t YOU use some time for self-care and disengaging from holiday hoopla? Here’s my post about the ever amazing Glenda Watson Hyatt, who has soared as her OWN confident Rudolph for years teaching peers (and the world!) about perceptions/realities when it comes to accessibility and disability. 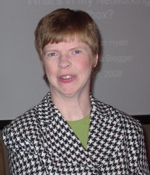 I’ve been waiting to profile Glenda Watson Hyatt, who inspires me beyond words for her dedication to blogging despite her use of only her left thumb. Truth be told, whenever I grow weary of late night hours in passionista mode, I look to Glenda’s blog for a boost of ‘buck up, baby’ realizing that whatever I’m doing, she’s doing in triplicate…Kind of like the Ginger Rogers/Fred Astaire “dancing backwards in high heels” bit. 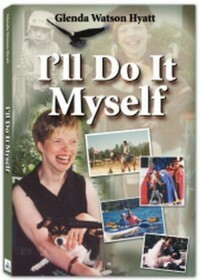 I’m striving to shine the spotlight on her experiences living with cerebral palsy to motivate and inspire others to think about how they perceive their own situation and their own world around them. With that in mind, I’ll point you to Glenda’s post in her Reader’s Café about holiday stress, and also reprint her fabulous “What We Can Learn From Rudolph” piece with her permissions and blessings. I urge you all to think about how Rudolph’s conundrum of being “different” translates to youth and the “odd girl out” playground posse…for it pertains to children throughout the globe. It takes the fog to come down for the big guy (possibly the employer) Santa to realize the value in a bright, shiny nose. And that’s the point when Rudolph is duly recognized for his unique ability, giving us the Christmas story that we know and love. But this story leaves me thinking about the other parts of the story — the bits that didn’t make it to the song. I am left wondering how many other reindeer before Rudolph were discarded because their unique ability or talent wasn’t valued. However, I am comforted in believing that discriminating practice will not be repeated when Rudolph and his reindeer friends retire and new flying reindeer are chosen to pull the sleigh. After all, believing everyone is welcomed and accepted is part of the magic of Christmas! Rudolph teaches children young and old about the importance of valuing diversity and inclusion. 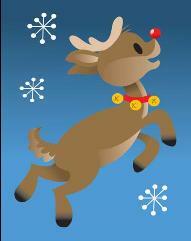 Without this reindeer’s different coloured nose, Christmas was surely doomed to be cancelled that foggy night. With him, that lesson went down in history! Do any of these scenarios look familiar? Tweens? Teens? ADULTS?